Mt. 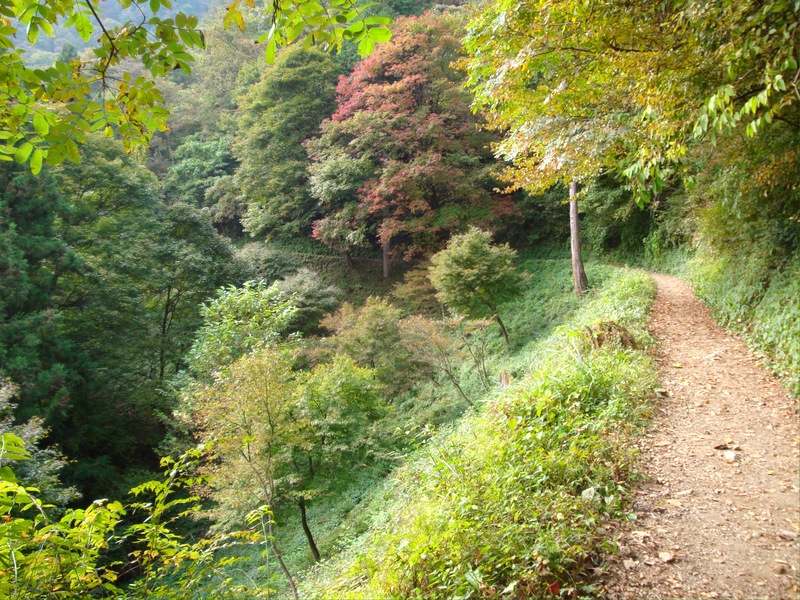 Mitake is one of Tokyo’s best one-day hiking destinations. A hike here can be tailored to many skill levels, but is especially good for beginners as there is a lot to see without too much difficulty. After traveling by train or car into the mountainous Westernmost section of Tokyo, take a scenic cable car to the top of Mitake-san. 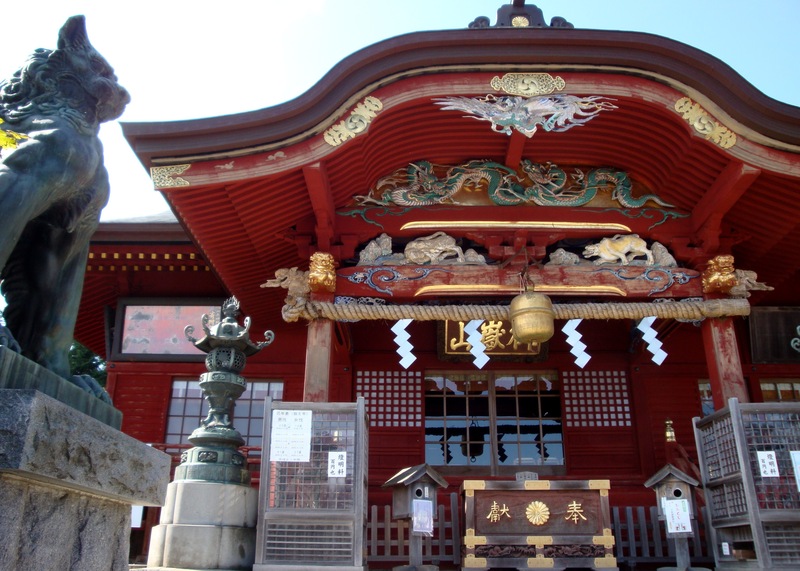 At the summit, visit a shrine that has been a center of worship for over 2000 years. Stop for a light Japanese lunch in a lovely little village that has catered to pilgrims of the shrine for centuries. Then, hike into the woods to explore the ‘Rock Garden’, a narrow, forested valley with a picturesque stream, moss covered stones, and lovely waterfalls! Here are specific instructions on how to get there and what beginner hikers should do for a perfect day out! Depart from JR Shinjuku Station, USUALLY Platform #12, on a Rapid train on the Chuo Line toward Tachikawa. Check hyperdia.com for a train that fits your schedule. On my last visit, I took the 8:19am train. It was on the JR Chuo Ome Line, which took 72 minutes to Ome Station, arriving at 9:31. As you get off the train, walk across the platform (from 1 to 2) and get on the train that is waiting (you may have to jog down the platform as the train that you are changing to is only a couple of cars long). The train leaves only a minute or two after you arrive, so don’t daudle! This is the JR Ome Line and you’ll then travel 16 minutes from Ome Station to Mitake Station. Be aware that it is best to be at the back of the train because that will put you in front of the staircase leading to the exit at Mitake Station. Exit Mitake Station and go to the left, down the steps. You’ll see a sign for a post office and a museum. Cross the street in front of you and walk down to the left to the bus stop. Almost every other person getting off the train here is heading the same way as you, so if you want a seat on the bus, move quickly. As of 2017, the bus ride was 280 yen to the Mt. Mitake cable car. The bus does accept Pasmo/Suica passes and rarely, if ever, stops along the route. Once you disembark at the terminus, walk up a steep slope to the cable car station. Again, everyone who gets off the bus is walking in the same direction. When you reach a corner, you will see the cable car entrance. It is possible to use your pasmo/suica to pay for the cable car. For more advanced hikers, it is possible to hike up Mt. Mitake from this location. A trail starts right across the street from the cable car building and is labeled in English. Note: There are many other trails in the area. 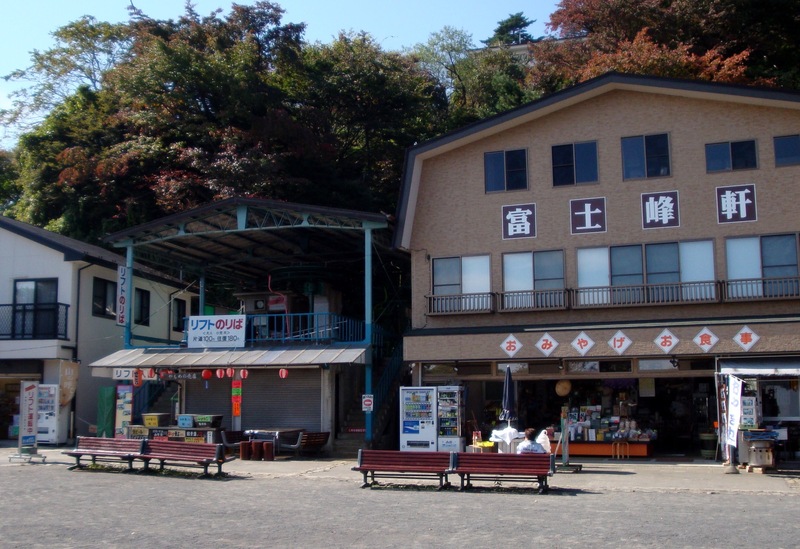 As you disembark from the cable car at the top, there are a couple of omiyage shops, a chairlift, picnic tables, and a ‘lookout’ over the valley. As you exit the station, check out the view and then follow everyone to the left. If you ride the mini chairlift, there is a restaurant at the summit. The menu is in Japanese, but there good photos. Food must be purchased from a machine outside the front door of the restaurant. However, I only recommend this chairlift from late July to early September when a flower carpet of ‘renge shoma’ plants are blooming. Instead, take the paved road to the left of the cable car building. Walk a short distance and you’ll enter the village. Make your way forward until you reach the ‘main street’. I recommend that you have lunch at the second restaurant on the right – they have the nicest views and hopefully they still have a copy of an English menu that I translated for them a few years ago. 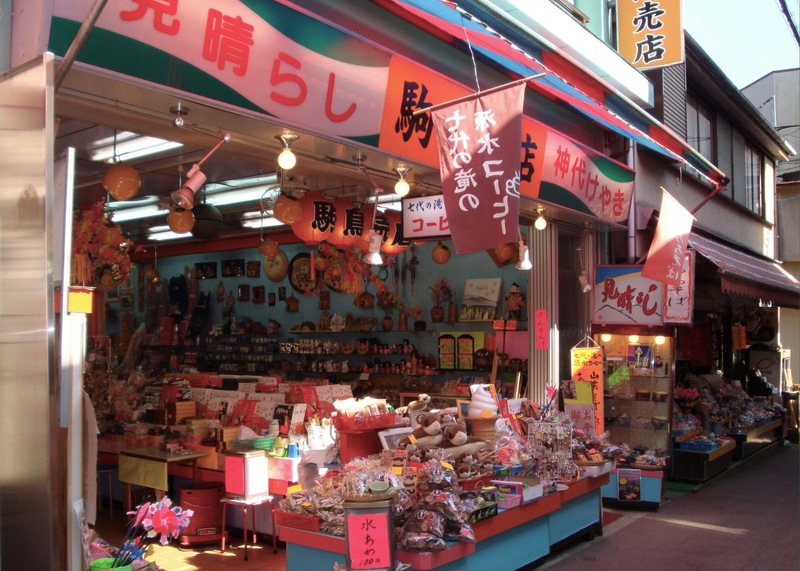 The entrance to the shrine is at the far end of the main street. To skip the shrine, and go straight to hiking, follow the path to your left that says ‘Rock Garden’. There is also a path to the ‘Rock Garden’ that starts at the top of the steps of the shrine. This is the best path to take if you have just visited the shrine and do not want to backtrack. Along the hike, when paths meet, always follow the stream, signs for ‘Rock Garden’, and/or signs for Ayahirotaki (Ayahiro waterfall). Along the way, stop at the Tengu Iwa. Hikers can climb to the top of this huge rock in order to see statues of mythical tengu that have been placed on it. 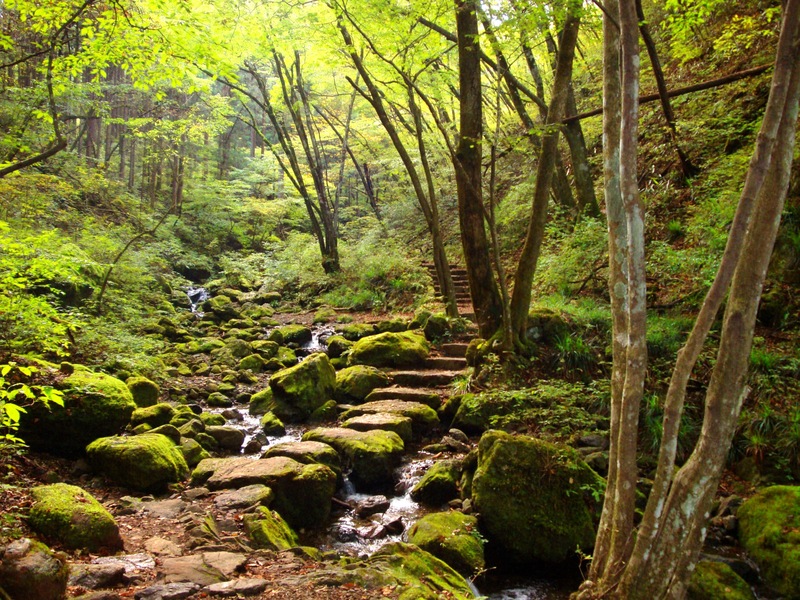 The ‘Rock Garden’ hike goes in a full circle and will bring you back to the steps of the shrine. Make your way back down the main street and down to the cable car. At the bottom, walk back down to the bus stop. On the return, the bus might stop once along the way, but the terminus is Mitake Station. To return home from Mitake Station, take the next train to Ome Station. You will almost always need to transfer here – just walk across the platform. From Ome, a few trains go all the way back to Tokyo, but most go only as far as Tachikawa Station. If your train terminates in Tachikawa, you will need to change trains – to the Chuo Line heading to Shinjuku.